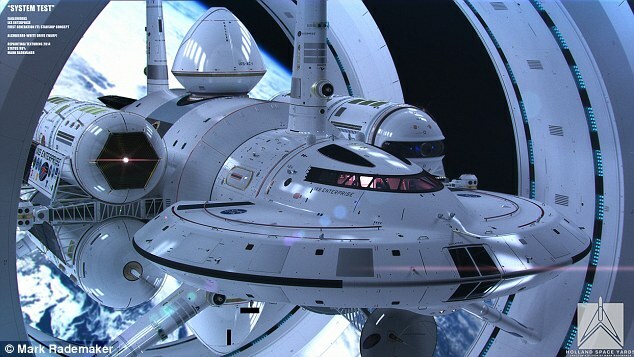 NASA concept for a space bending, faster than light speed, space craft. A few months ago, the Prime Minister of Greece while addressing the youth of his political party, said that their dreams should be “grounded”. Yesterday, during a conversation with people saying they were liberals (they weren’t, trust me), I heard that Imagination is stupidity. Only reality matters. There is nothing more dangerous than smothering peoples’ dreams. It is the essence of conservatism. Not some right or left, or center ideology. Conservatism is smothering the imagination. The best example of imagination I can think of, comes from the arts; the “stupid” imagination of Star Trek and its creator, Gene Roddenberry, that predicted and/or inspired at the same time half a century of advancements in technology and social behaviour. This “stupid” imagination predicted or described from theory to practice the use of cell phones, voice computer interfaces, multipurpose devices, holograms, 3D printers and a number of other technological advancements that are part of everyday life or are in the final stages of development. At the same time, this “stupid” imagination talks about a world that everybody shares in the discoveries and inventions, the progress of medicine and other sciences, where labour is not for survival, but for personal and collective improvement. This part is easy to be ridiculed by those who suffer from political obsessions. Those who live 100 years behind the times are the conservatives. They talk about laziness and thieves and give other colorful descriptions of such a society. Lets see if we have a choice. There is a term in the sciences that is called Technological Singularity. It is the point in time when computers will be able to do more than man cans. Their intelligence will be so advanced that the future becomes unpredictable. There will be rapid developments concerning mankind. Supposedly, all our problems will be solved. It is very likely that, provided we don’t kill ourselves, it will happen at some point. Personally I don’t believe we will see it in our lifetime, or in the next 100 years, but it will come. What is already happening though, is the reduction of manual labour with the improvements in automation and robotics. What does that mean? That over time a diminishing number of jobs will be available for non specialized workers and that less and less people will be able to buy what is produced by automated production. Something has to change. Conservatives I have met, say that everyone is responsible for creating their own opportunities. To a point they are right. However, creation of opportunities require a high level of education and the basic means for survival that are not found everywhere. If those are not provided equally to everyone, but have to be provided by the family, in essence we join a vicious circle where the poor have less chances while the rich have every chance. Economically (if economy is just about money) that might be acceptable, but socially it cannot be. The economy is not just about money. It is about resources and one of the most important resource is man itself. Is it economy to waste such a resource? Or is it economy to invest in it? Do we invest by making it hard for people to have access to education? Do we invest by not allowing them to participate in society because for one or another reason “they were not lucky”? What happens when those “unlucky” people are so many, that survival is impossible? Will the lucky ones close themselves up in gated communities and be guarded by whom? By those who, when their shift is over go back outside, with the “unlucky” ones? Or are there two simple ways we can invest? First, by giving everyone the means to live without having to struggle every minute for it, and secondly, by giving everyone access to education. Certainly not everyone has the ability to move a science forward, but giving the opportunity will reveal more people that can than would if you didn’t. For me, the Pirate culture is the way to that new society. We share knowledge, we want equal opportunities and social justice and we are not spent on foolish left or right political obsessions. Investment is not our enemy, as money is not an end in itself . We don’t want knowledge to be limited in its dispersal by idiotic patents, nor do we want to spent enormous amounts of money on bureaucracy, money that can be used to improve our lives. Collaboration is always the best way than sterile competition. We want noble emulation instead of antagonism with printed pieces of paper as a trophy. It is time to move on to something new. No economic system, from capitalism to communism has that potential and almost no political movement can escape past obsessions, minus the Pirates. We want to be copied. Posted on June 18, 2014 by vaspervnp@yahoo.gr. This entry was posted in Article. Bookmark the permalink. « TTIP. What don’t you get?